This set of Control Systems Interview Questions and Answers focuses on “Differential Equations of Physical Systems and Dynamics of Robotic Mechanisms”. Explanation: Force balance equations are formed where force from both the springs will be balanced by the mass system. Explanation: Inverse Laplace of the equation of first order hold gives the ramp function and hence the output of an first order hold between two consecutive sampling is ramp function. 3. Which of the following is an example of an open loop system? Explanation: Execution of a program by a computer is an example of an open loop system as the feedback mechanism is not taken by the computer program and set programs are used to get the set output. Explanation: A tachometer is a device to control the speed and adjust damping and it is used in servomechanism to adjust damping and mainly is used in AC servomotors. Explanation: Synchro transmitter is used as the error detector to get the desired speed and it is accompained with the synchro transformer which is used as an amplifier. Explanation: In a servo system, the gear backlash may cause sustained oscillations or chattering phenomenon and the system may even turn unstable for large backlash. 8. Tachometer feedback in a D.C. position control system enhances stability? Explanation: Tachometer feedback is derivative feedback and hence increases the stability and speed of response, so tachometer adds zero at origin. 10. Gear train in the motor is used to reduce the gear ratio? Explanation: Gear ratio refers to the ratio of the number of teeths in the respective gears and gear train in the motor is specifically used to increase the gear ratio. 11. Assertion (A): Servomotors have heavier rotors and lower R/X ratio as compared to ordinary motors of similar ratings. Reason (R): Servomotor should have smaller electrical and mechanical time constants for faster response. Explanation: Ac servomotors are essentially induction motor with low X/R ratio for the rotor which has very low inertia. 12. Assertion (A): DC servomotors are more commonly used in armature controlled mode than field controlled mode. Reason (R): Armature controlled Dc motors have higher starting torque than fiels controlled motors. 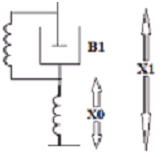 Explanation: To get higher speed in field controlled dc motor, field current is decreased with decrease in torque. Explanation: As Back emf in dc servomotors provides necessary centrifugal force to control the speed of the motor that increases the stability of the system. Explanation: By definition lagrangian is defined as difference of kinetic and potential energy. 15. A gantry robot consists of a manipulator mounted on an overhead system that allows movement only in ________ plane. Explanation: Gantry robot allows motion only in horizontal plane and this is made in this geometry to fulfill the respective work. 16. An object stationary or moving in a uniform motion w.r.t A will appear to be traveling in a straight path w.r.t B. This apparent path is attributed to Coriolis acceleration. Explanation: An object stationary or moving in a uniform motion w.r.t A will appear to be traveling in a curved path w.r.t B. This apparent path curvature is attributed to Coriolis acceleration. 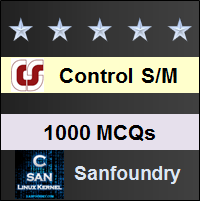 To practice all areas of Control Systems for Interviews, here is complete set of 1000+ Multiple Choice Questions and Answers.